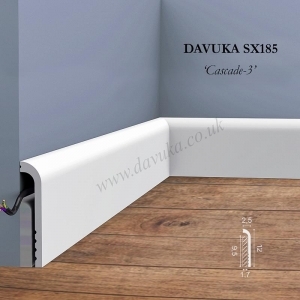 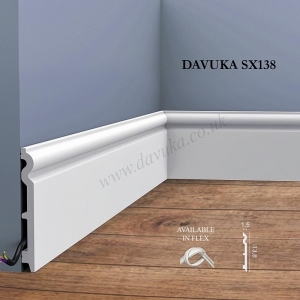 Small, unobtusive skirting design with a slight angle that will suit most modern homes and give an elegant finish. 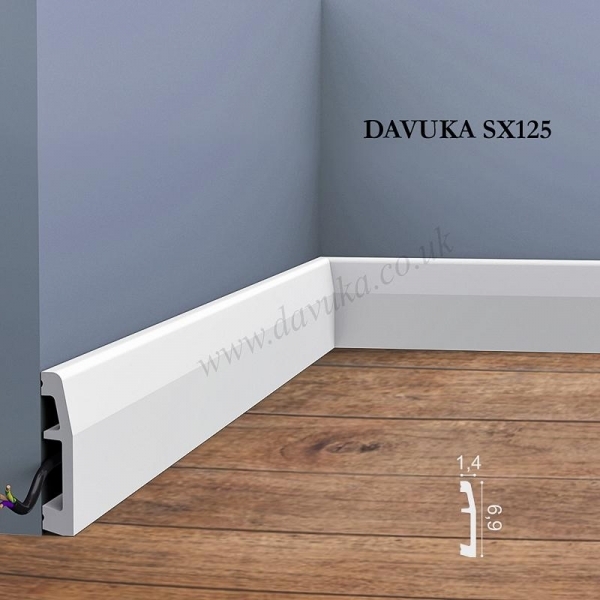 Primed ready to paint – install with Decofix adhesive / filler FDP500. 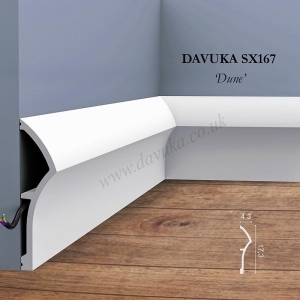 MIN ORDER QTY 3 pieces. 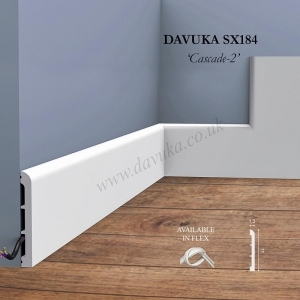 Match with CX124 coving, R07 ceiling rose and PX113 or PX120 dado rail.